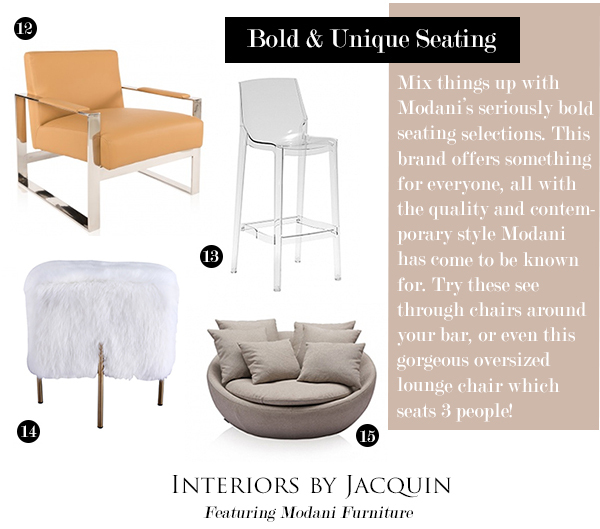 If you’re new to Modani, allow me to introduce you to this fabulous brand specializing in modern and contemporary furniture. 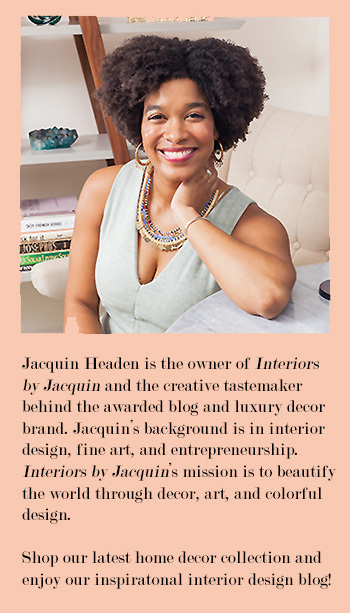 While this brand launched in Miami (a city known for its contemporary design), Modani has storefront locations in Dallas, Chicago, Houston, LA, San Francisco, and New York (in addition to Canada!). 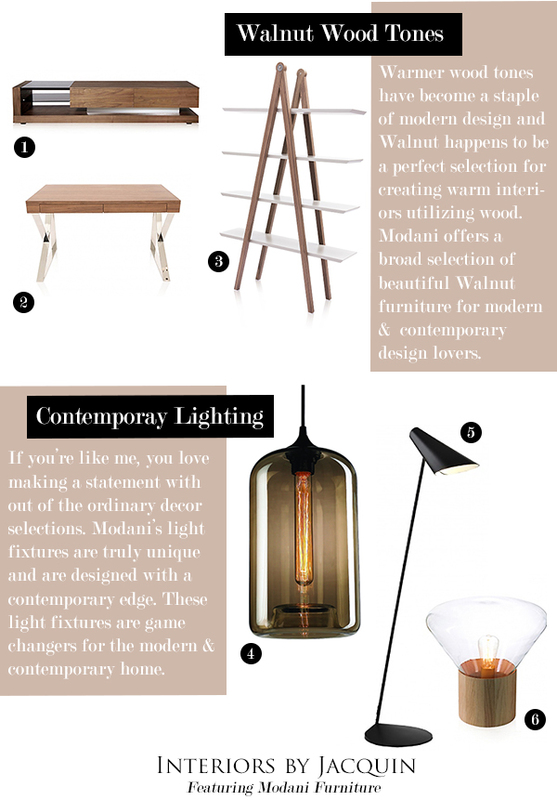 Whether you prefer a mid-century modern look or something more bold and contemporary, Modani will meet your needs. These 15 beautiful selections from Modani will add a feel of contemporary luxury to your home. Here are 5 home decor techniques to transform your home with contemporary style! 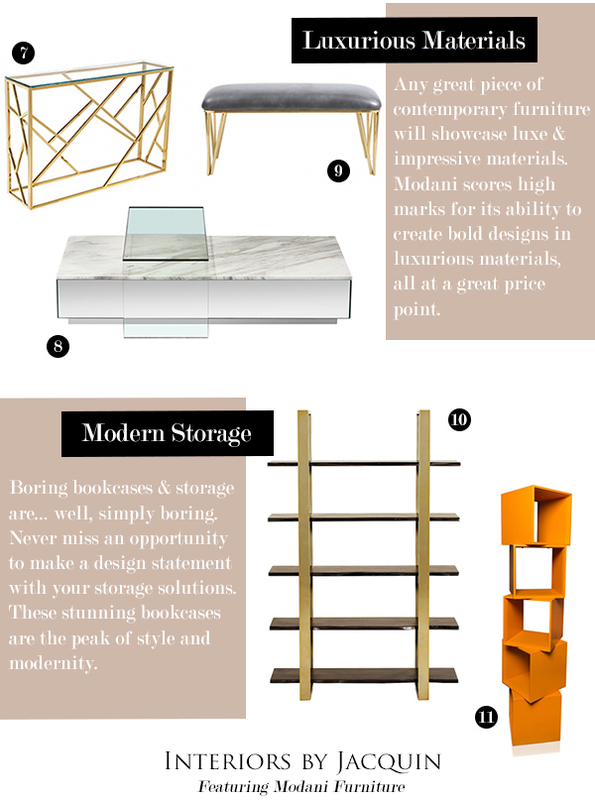 Visit www.Modani.com for more modern and contemporary furniture inspiration.